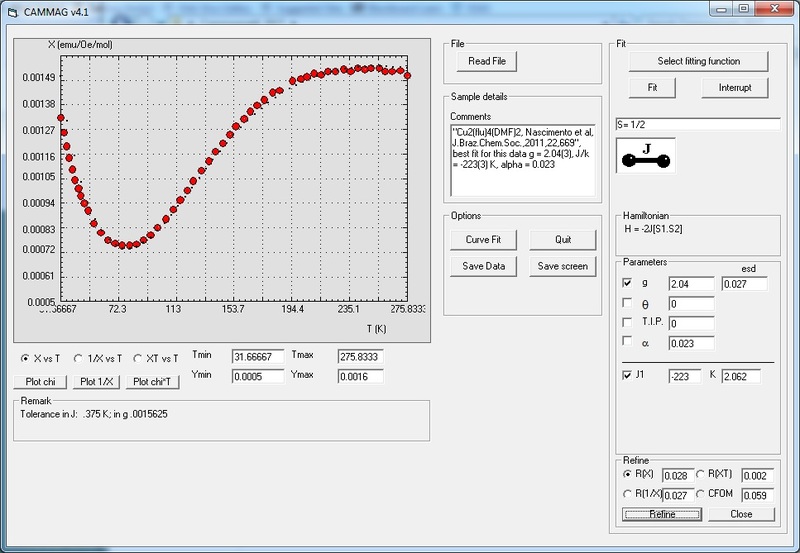 EPR software for simulation of anisotropic EPR spectra. Compatibility: Windows XP, Windows 7 Professional (in Windows XP emulator). Must be 32 bit! This software acts as a GUI for M. Nilges' original Fortran program PIP and will model S = 1/2 and S > 1/2 spin systems including hyperfine interactions to two different types of nuclei with I > 0. 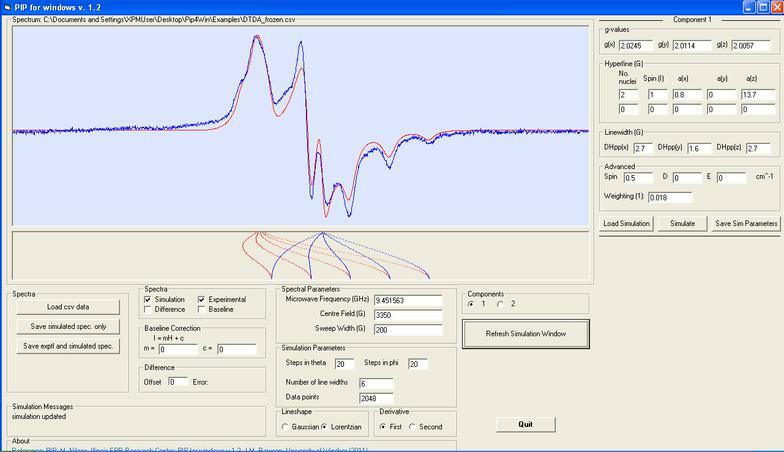 Software for modelling the magnetism of simple clusters and common chains. A downloadable version is available here. Please read the installation instructions carefully. I have not checked upwards compatibility beyond Windows 7.